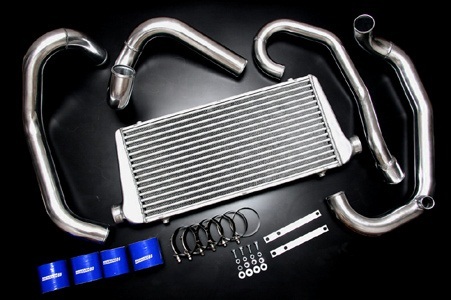 Front mount intercooler for the Subaru WRX 1996-2000. The intercooler is manufactured from polished aluminium with a tube and fin design. The pipework is polished aluminium and the quality/fitment of this kit is similar to the well-known, top selling brands in the market place. In most cases this front mount intercooler is larger and more efficient.